THE FOUR HORSEMEN: You Can Imitate, But You Can't Duplicate! 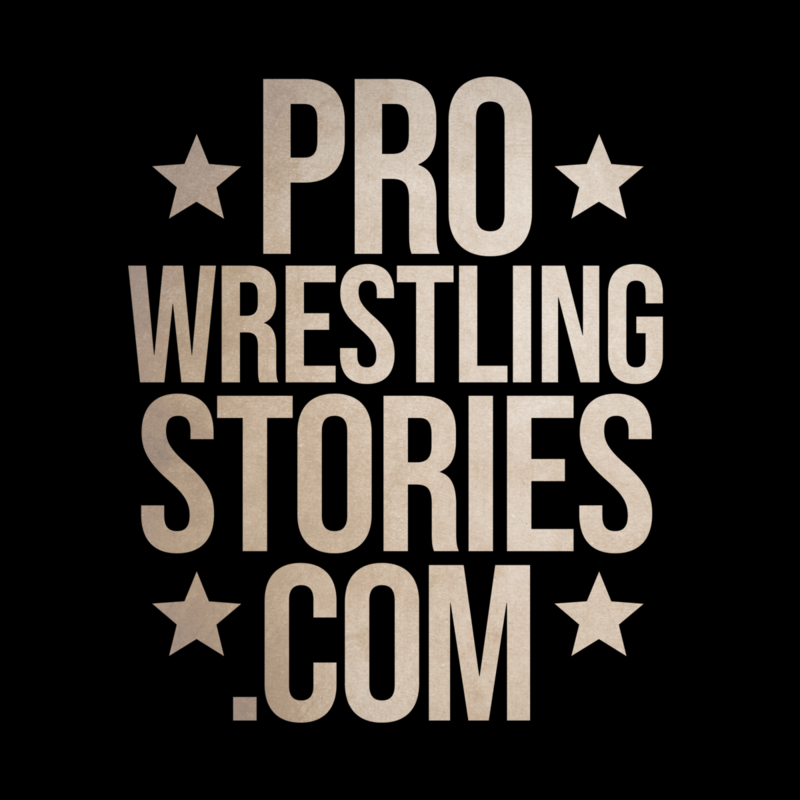 This edition of Pro Wrestling Stories takes a closer look at the legendary stable, The Four Horsemen. 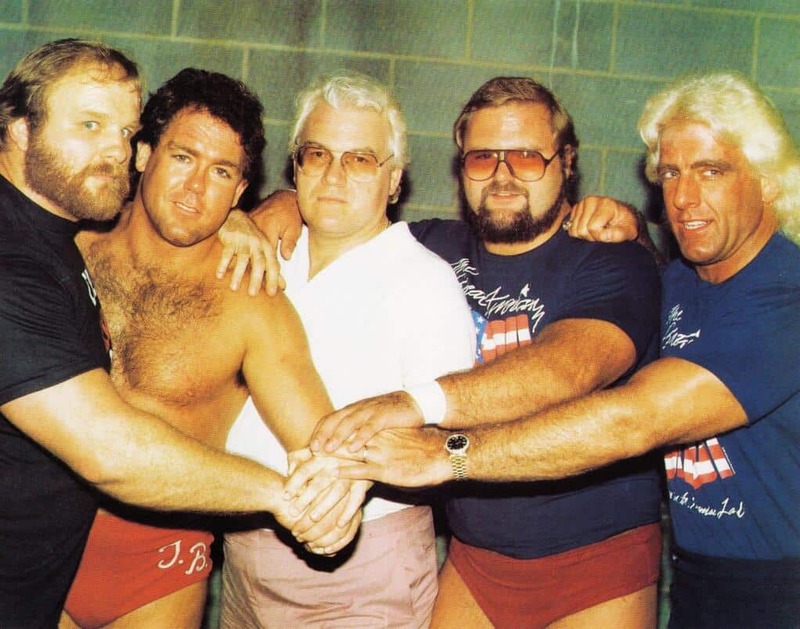 With Ric Flair at the helm usually as World Champion, this group was the elite entity of the NWA and WCW. Their legacy has spawned many years with various members, but today we take a close look at the founding four. Without the Horsemen, there would be no New World Order, D-Generation X, or Evolution. Who were The Four Horseman and why did they make such an impact on professional wrestling? Find out in their own words. 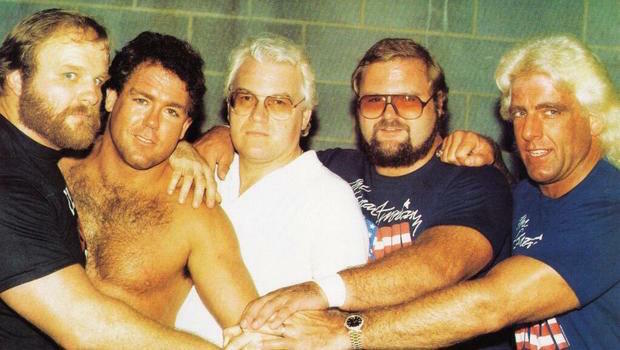 “When the Four Horsemen were formed I actually was only managing Tully Blanchard at the time. “Our goal was not to take over or anything negative like that. We wanted to be champions and represent our company to the highest standard. We set out to outdo each other and give the fans the best match of the night. Ole and I would go out there and try to outdo Tully, then he would go out and try to outdo Flair. It made for a better product. The Four Horsemen were like The Beatles, Elvis and The Rolling Stones all wrapped into one! “There was something about the chemistry of us as a group and we built off of that. We were all traveling together and spending more time together than we were with our families because we’d always be on the road. We’d go on the air and talk about where the hot spots in each town was and after the matches we’d get there and there would be fans waiting…we partied as hard as we worked I guess. We actually legitimately enjoyed each others company, and when we had a few days off or a day off home we would still get together because we really genuinely enjoyed each other. There wasn’t a clash of egos. 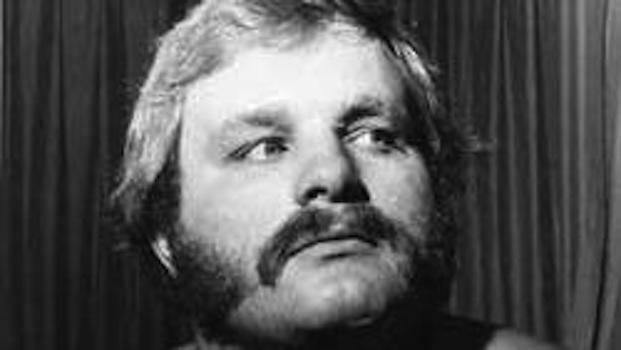 “I’ve had it pointed out to me that we weren’t the first faction in the business, [that] there were others ahead of us like the ‘House of Humperdink’ and Gary Hart had ‘Hart’s Army’ in Florida. “Back then the chicks were everywhere. You should’ve seen it, man. The lobby was unbelievable. You had to fight your way through it. We had our own private jet. We were on the Great American Bash tour in 1985…we worked in Frisco, Seattle, Portland, L.A, Albuquerque and Vegas…we stayed at the Tropicana for a five-day run. I got drunk and spent $40,000 on two fur coats. I still got one at home. Never worn it. “The nucleus of the Four Horsemen was always Ric, Arn and myself – the other person we could’ve floated. 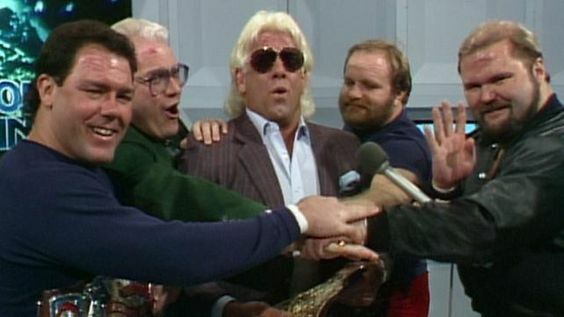 “In the first two groups, Ric was the World Champion, I was the World Television Champion or the U.S. Champion wrestling in singles, and Arn and Ole were the tag team of the group. I forget why they ran Ole off…but he got fired. Then Luger came in, and at the time he wasn’t strong enough to be the other single but he also wasn’t strong enough to be in the tag team…so we ended up having kind of a fragmented group. When I say Luger wasn’t strong enough, I don’t mean that in a derogatory way, just the chemistry was just not there. 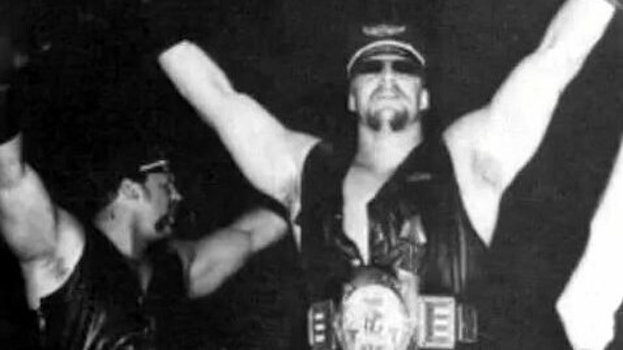 He was much better as a babyface than he ever was being part of the Horsemen…it was our job to get beat up – it was not entertaining watching a 6 foot 5, 270-pound guy getting beat up – it was much better for him to be [doing the] beating up. “There’s nothing like the first group. Obviously, that’s special. “No matter how good something is and how successful it is, everything comes to its end. Not to say there was internal friction – because there wasn’t – but there is politics in the business, always was and always will be. “[NWA] weren’t treating us properly. I was offended. They were giving a lot of people money and not giving Arn and I any money. Pat Patterson was there in Milwaukee one night and he sent word to us, so we called [WWF]. “I feel that probably Arn Anderson was the one guy that never got the due credit for how important he was in the unit. He was the workhorse, out there every night, giving it everything he had. He had a neck injury and you could see the nerve damage affecting his hand because his hand on the one side started to quiver a little bit. 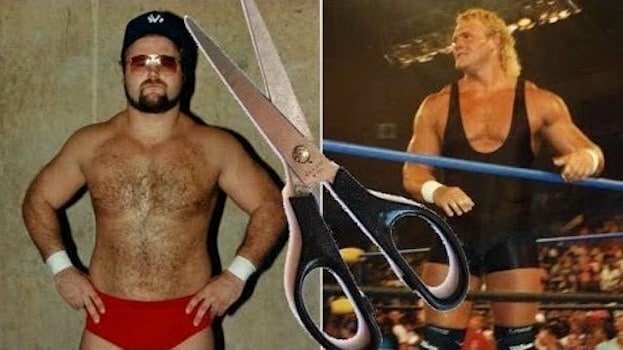 Rather than take time off and get medical attention or rest, we were enjoying such great success that Arn just stayed out there…and unfortunately, I think it shortened his career. Eventually, he had damage that couldn’t be reversed. 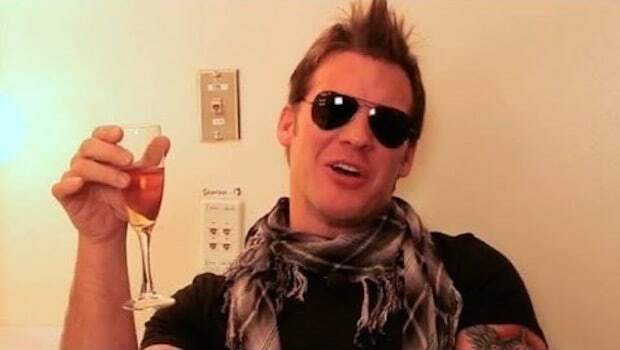 “That was by far the best time of my life…it was awesome and it was something that I always wanted to do and when we got together it was a bunch of great guys with tremendous camaraderie. We had so many great times in and out of the ring, we just rock ‘n’ rolled.